Your Residential and Commercial Roofing Company Since 1950! Coates Bros. Roofing is located in Lorain County and serves the Cleveland area. We specialize in commercial and residential roofing, gutters and insulation. We have built our reputation on quality workmanship and look forward to helping you with all of your roofing needs. Whether you are in need of a small repair or a complete tear-off, we are here to assist you from the beginning phase through completion with professionalism and integrity! 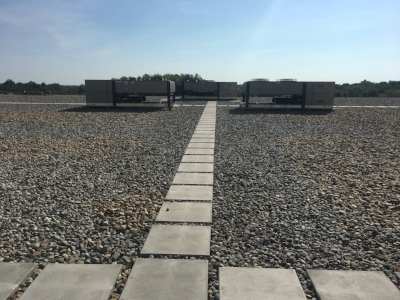 A Premier Low-Sloped Commercial Roofing Contractor installing all major Manufacturer-Warranted roofing systems including Single Ply, Built Up, and Modified Roofing Systems from $1,000 to $1,000,000 in both the re-roof and new construction market. We specialize in serving the new home builder as well as the remodeler. Maintenance, gutter cleaning, gutter guard systems, whatever your gutter needs, Coates Brothers can take care of it. Once we have received your information, the project details will be reviewed by one of our estimators. You will then be contacted so we can start taking care of all your insulation/ roofing needs!